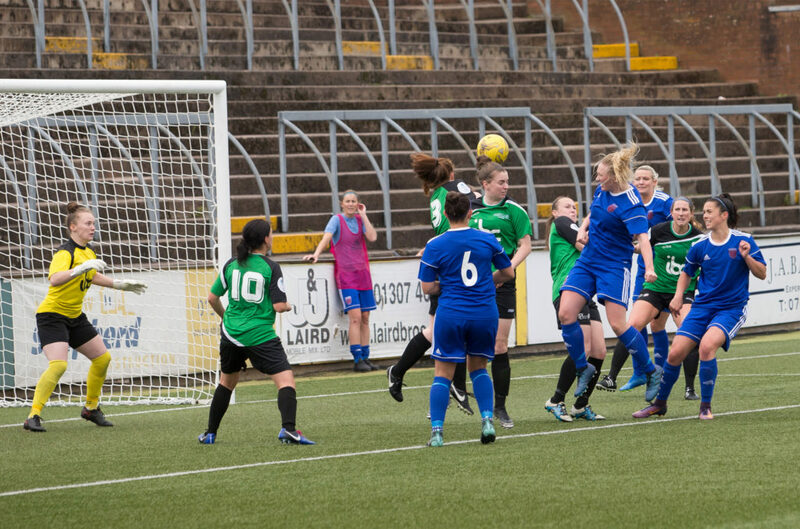 Forfar Farmington conceded an injury time equaliser as Stirling University took a share of the spoils on Sunday at a wet Station Park. After Gemma Mason put Stirling ahead, Caroline Heron turned it around for Farmington but slack defending allowed Demi Falconer to bundle home a late equaliser for the students. Mark Nisbet made two changes to his side that lost to Glasgow City as Robyn Smith and Danni McGinley returned with Rebecca Dempster and Megan Robb dropping to the bench. Forfar had the majority of the play early on with Caroline Heron curling wide before Danni McGinley latched onto a Heron ball before firing off target. The chances continued at the Gammies end of the ground as McGinley was played through but could only strike straight at Chloe Logan. McGinley was denied by Logan again before Robyn Smith cut the ball back in the 27th minute; it fell kindly for Heron but she could only find the sidenetting. Stirling’s first clear cut opportunity fell seven minutes later to Eva Rule as her ambitious strike curled towards goal but Farmington keeper Fiona McNicoll clawed the ball away. Farmington were struggling to convert their possession and chances into goals with Smith seeing her effort deflected into the grateful arms of Logan and they were to pay for it seven minutes from the break. The visitors broke forward and Gemma Mason was given an opportunity to have a go from 25 yards, her effort taking a touch off a defender and deceiving McNicoll as it rolled into the bottom corner. Stirling’s lead was to last just five minutes however when Smith’s free kick caused panic amongst the visiting defence allowing Heron to stab home at the second attempt. The away side started the second half stronger than they did the first and looked to create more than they did in the first half; Kendra Bonsall coming closest as her effort was over the bar from a Rule cross. It was Heron was grabbed the equaliser and the striker was at it again in the 58th minute from another Smith free kick as she rose highest to nod past Logan for her fifth of the season. Bonsall had another chance fly over as she connected with a Doran-Barr cross while Heron did the same from a Smith corner as she hunted for her hat-trick. 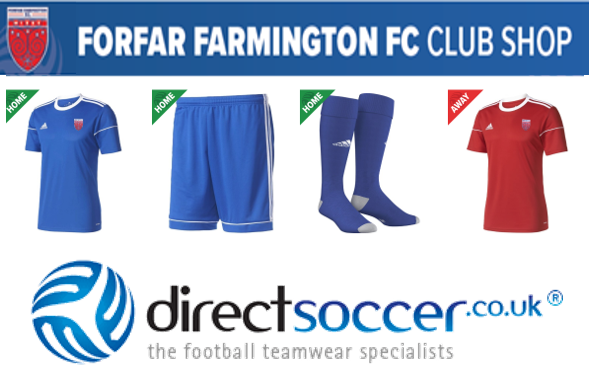 Farmington did have the ball in the net with fifteen minutes remaining as Danni McGinley outmuscled a defender before stroking past Logan, however referee David Fearn awarded a free kick to Stirling after ruling McGinley had fouled her marker. Left back Cassie Cowper fired over from long range and following this Stirling turned up the pressure on the hosts. While Stirling couldn’t convert pressure into chances Smith had one of her own at the other end with an overhead effort that was held easily by Logan. The Stirling pressure paid off in injury time when Lisa Sutherland’s corner created problems inside the six yard box and Demi-Lee Falconer got the vital touch as she diverted the ball into the net. Despite dropping two points, Farmington will stay in fourth, extending their lead over Rangers to four points after they lost to Spartans. Mark Nisbet will hope his side can improve when they take on Hibernian after the international break.